Nowadays, how to convert tyre to pyrolysis oil is no longer a problem .By using the waste tire pyrolysis plant,we can get pyrolysis oil from waste tire. 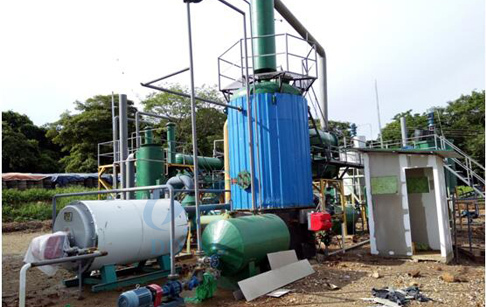 Secondly, with the help of crude oil refining process plant , the pyrolysis oil can be further refined into diesel oil that fetch a better price than pyrolysis oil on the market. Besides, crude oil refining process plant can also transform other crude oil into diesel and asphalt, such as plastic/rubber pyrolysis oil , waste engine oil generated from vihicles and ships etc. 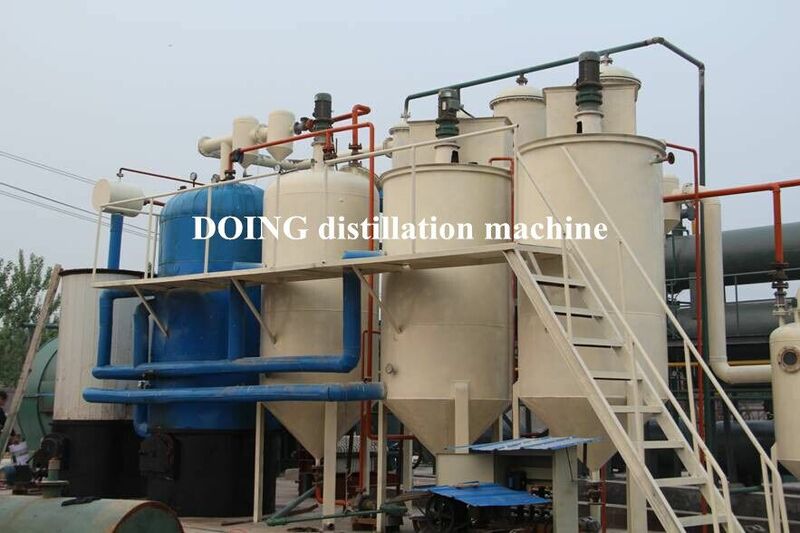 Crude oil refining process plant use the theory of distillation, a green technology. 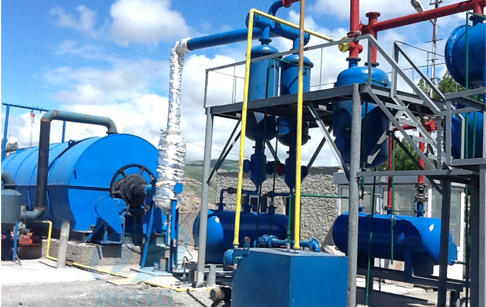 The whole refining process includes distillation, cooling, decoloring and deodoring system. Crude oil refining process plant include many parts : distillation reactor, condenser, oil tank, catalytic reactor, water seal device, boiler, conduction oil tank, conduction oil buffer tank, dedusting system, draft fan, chimney, control cabinet, vacuum system. heat crude oil in non-oxygen environment, which will start to boil and evaporate; at the same time, heat conduction oil also transfer heat to crude, so the temperature goes up very quickly. put those vapors through a cooling pipe and the vapors will condense to liquid , while some of the vapors with shorter hydrocarbon lengths will remain as a gas. this kind of diesel oil will be piped into deep purifying system with acidity and alkaline cleaning device as well as pressure filtering system. The color of the diesel directly produced from the standard distillation system is brown yellow. The purification system could make further purification for the diesel ,thus to get light yellow color. All the system is sealed，so the loss of heat is less. Conduction oil is for recycling use, which can save a lot of heating fuel for you. 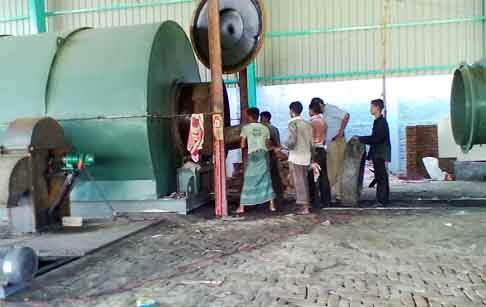 No smell and smoke produce, so there is no harm to the workers. conduction oil doesn’t heat reactor directly, and it is helpful to prolong the life of the reactor. Coil heater can make heating evenly and fast. Combined with indirect heating system ,the reactor can keep hot for longer time, so the whole process is faster with less fuel. From our design, It is very easy to clean the slag , asphalt residues will be discharged from the bottom of the vertical reactors automaticly. When operating the machine, first you pump oil inside the reactor to heat；after finishing heating, it will become oil gas and goes to cooling system, then goes to oil tank. So, the first reactor is empty, no need to stop, you could pump another tank of crude oil again into the first tank ,continuously working. The oil recovery rate is about 85%. 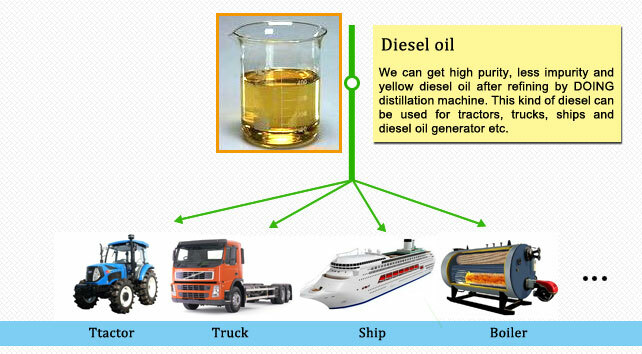 The diesel oil or gasoline we finally get from this plant has clean , transparent color and qualified smell , which can be widely applied in tractors, trucks, generators, boilers, agricultural vehicles etc. and will produce less smoke and less noise than regular diesel fuel. What liquefied from the condenser is the nonstandard diesel oil of brown and yellow. After being further deodorized and decolored in diesel further purification system , we can get high purity and and light yellow diesel oil. 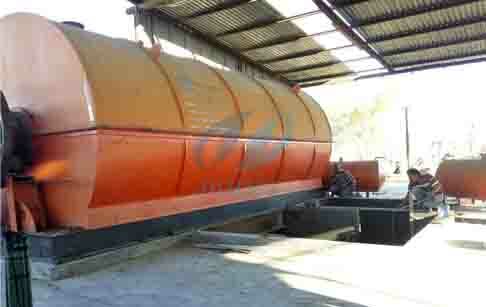 Products of crude oil refining plant include 85% diesel, 10% asphalt, 5% water and other impurities. The final diesel after refining can be used for tractors, trucks, ships and diesel oil generators etc, and asphalt usually for paving and refinery. 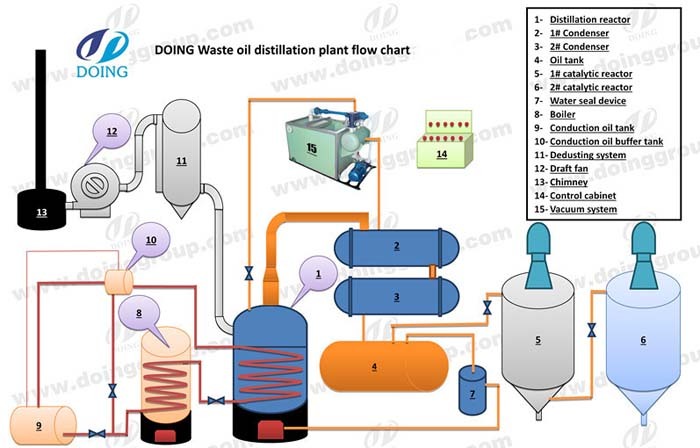 If you wanna to get more details about Crude oil refining process plant you can send E-mail to market@doinggroup.com. You can consult our professional engineer and specialized sales team with leave a message in below form.We will contact with you ASAP.You also can visit our factory in Henan,China.Get Detailed address.